Large vintage hand painted "MOZART" blown glass Christmas ornament. Dimension : 6-1/2" long. Most likely German or Czechoslovakian. Please look at our other Christmas ornaments Auction - multiple purchase will save the shipping cost. 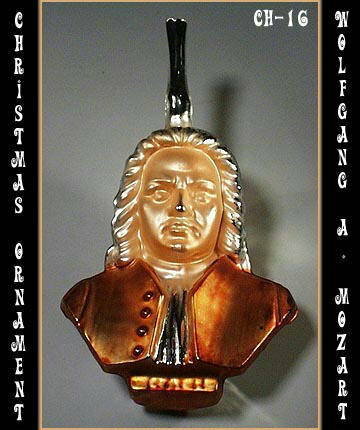 Items Similar To "HUGE VINTAGE MOZART CHRISTMAS ORNAMENT"